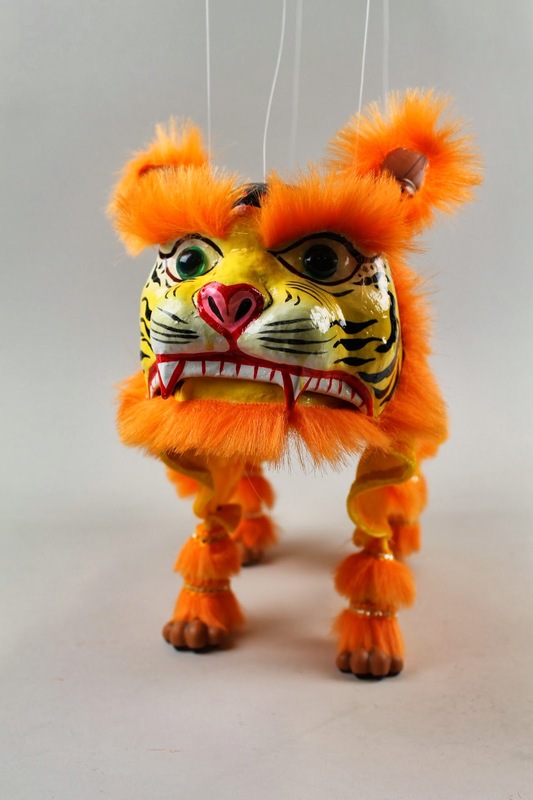 Caption: A tiger puppet originally made to celebrate the Chinese New Year, which will feature in the new 'Voices of Asia' gallery from April 18. Picture credit: Courtesy of Leeds Museums and Galleries. A spectacular new gallery showcasing Asian culture and Leeds’ links with the continent is set to open its doors for the very first time at a popular Leeds museum next month. From April 18 2014, the ‘Voices of Asia’ gallery will be open to the public at Leeds City Museum, celebrating the sights, sounds, diversity and culture of Asia and the different Asian communities in Leeds that make-up the thriving multi-cultural city today. The new gallery, which sits on the ground floor of the museum in the World View Gallery, is the first major gallery refresh at the museum since it opened in 2008 and replaces the previous ‘Out of Africa’ gallery which showcased the city’s African collections. The title ‘Voices of Asia’ was deliberately chosen to represent the many Asian communities that live within the city, the different languages spoken in the continent, and the passion for contemporary film that will be incorporated in the new displays. The displays, which have been planned in partnership with local Asian community groups as part of an Advisory Network, will stay in the space for around five years, but will change annually to reflect different projects, themes and world faiths. Painstakingly researched and developed by the curatorial team with local organisations such as South Asian Arts UK, Leeds Hindu Mandir, Hamara, Jamyang Buddhist Centre, Leeds Asian Blind Association and Shantona at Leeds Museum and Galleries, the new gallery has been brought to life with great flair and imagination. Visitors will be taken on a journey through seven themes, many of which will change over the five years that the gallery is set to last. These include; Faiths & Festivals; Trade & War; Fashion & Style; Music, Dance, Theatre & Film; Eating Out & Eating In and Faith in Focus. Fashion & Style will include a Gujarati tie-dye shawl, a Japanese Uchikake wedding robe, a Chinese dragon robe, and bridal wear from South Asia, while the first Faith in Focus will concentrate on Hinduism. Leeds City Museum, which has welcomed approximately 1.5 million visitors through its doors since opening in 2008, is a free attraction located in the heart of the city on Millennium Square, just a short 10 minute walk from Leeds Railway Station. With four floors to explore and six galleries, the museum provides a comprehensive collection of objects relating to the history and modern age of both the local area and the wider world. "We are extremely looking forward to the opening of the new ‘Voices of Asia’ display at Leeds City Museum, which incorporating seven different themes, promises to the absolutely fantastic. "A lot of effort has been undertaken by the Leeds Museums and Galleries staff with the city’s local Asian community to make sure this display captures the unique and sights and sounds of their culture and traditions, and it will be brilliant to see all of this hard work pay off from April 18." "It’s really busy at the moment as we make the final preparations for the new ‘Voices of Asia’ gallery at Leeds City Museum. "When we first opened the museum to the public in 2008 the World View gallery focused on Africa, with the title ‘Out of Africa’, showcasing our amazing African sculptures, masks, textiles and musical instruments. Now we are changing to ‘Voices of Asia’, which will be as much about Asia in Leeds as about Asia itself. "With Leeds Asian culture highly visible in the city, in terms of restaurants and food choices, fashion and jewellery shops, world faiths and their religious buildings, and public performances of music, dance, and theatre, we have needed to look both outside and inside the museum building to make an exciting and relevant display." Exhibits from ‘Out of Africa’ will be moved to the city’s Museum Discovery Centre once the display is closed, where items can be viewed by appointment.